The winter months can see us neglecting our outdoor equipment and furniture. When the colder days and darker nights set in, we tend to turn our backs on our gardens and wait patiently — or not, as the case may be — for the return of the sunshine and our opportunity to relax in our outdoor setting once more. However, during this time, your equipment can become unusable due to the build-up of unwanted residue. 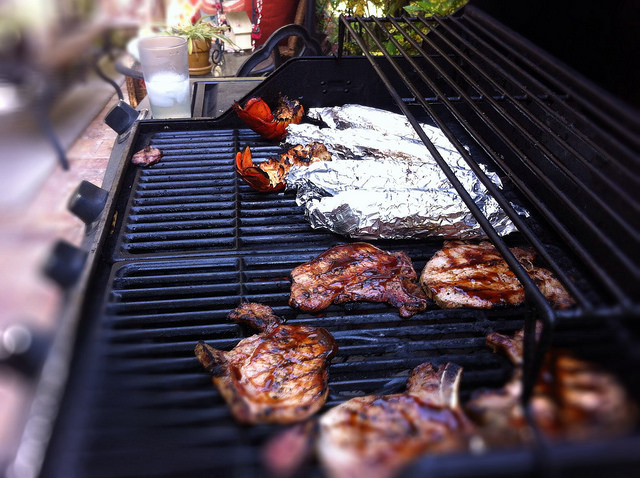 The harsh weather can cause havoc on any items left outside, especially your barbecue. If you want to make sure you can continue to flip those burgers and sizzle those sausages, keeping on top of the upkeep of your barbecue is essential. Here, we will look at the best ways to clean your cooking utensil so that it is fit and ready for action when the weather picks up. Once you’ve had the flames burning and the residue has either disappeared or loosened, it’s time to wipe that grill clean — once it’s cool enough to touch, of course. With a wire-bristled brush, scrub over your grill, just as you would with your oven’s version. To avoid any damage to your equipment, it’s recommended that you use a brass-bristled brush. However, don’t fear if you don’t have one of these to hand. Simply screw up a ball of aluminium foil and use this instead. Next up, get hot soapy water at the ready. Again, just as you would with your kitchen utensils, clean it with a dishcloth. If you find that the grime is too stubborn, it may be worth investing in some household cleaning products. Just make sure it’s specially designed for the job, otherwise you may find it’s too abrasive and toxic. For those with gas barbecues that have food caught in the burners, you should check the manufacturer’s guide you received when you bought it. This will tell you the best way to extract it. Make sure that no matter what is recommended, you’ve turned off your barbecue before you make an attempt. What if it has a ‘clean’ setting? End your cleaning spree by covering up your equipment. Doing so will keep it in the best possible condition until you want to use it again. While it may seem like a fiddly job and is often overlooked, this will help to protect your barbecue from all the elements Mother Nature may throw at it. Of course, each barbecue is different, so it’s important to follow instructions best suited to your equipment. However, by following these steps, you will be well on the way to ensuring the cleanliness of your piece and your barbecue will be ready for use when the sun makes its next appearance.